Is Koodo Mobile Having an Outage Right Now? @koodo Having issues with data in Alberta Canada. Says temporarily turned off by provider. My bill is all good. What is happen? @koodo why is the koodo network down currently? @koodo hey are there any outages right now? 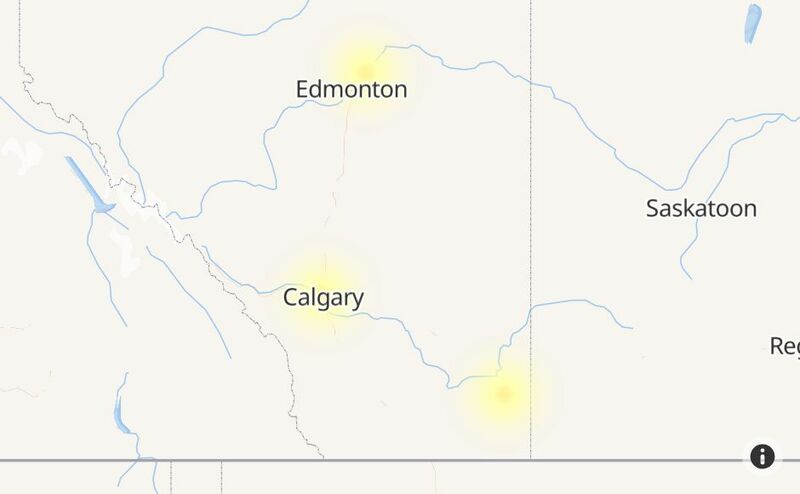 My internet connection isn't working in Alberta. @koodo is down all over Alberta. RIP to the people I never text. @koodo is the service down @ the moment? I’m getting no call going through..
@downdetector @koodo is down in Alberta. No data, voice/sms. @koodo Hey how long is Koodo self serve going to be down tonight? @koodo pretty sure my self serve got hacked. Got an email saying my email address was changed, now can't log in, help please! @koodo my phone will send texts and calls but won't receive any tried rebooting, what could the issue be? @koodo website is down or is my computer acting stupid ?? @koodo I log into my account. Go to phones and the page is blank. Been trying for 3 days now. @koodo your online bill payments aren't working. I get an error on all 3 browsers I've tried. @koodo my text/phone isn't working in the USA. I've restarted and confirmed easy roam is on. Need help asap. @koodo What is your current response time to customer service inquiries? I've been waiting four days with no reply. @koodo is there a LTE access issue? My phone is only picking up the 4G network and its eating my battery like crazy! @koodo Hey Koodo! RCS messaging support anytime soon?